Having trouble looking for your machine’s serial number / model number? You will usually find the information located on the back of your machine. 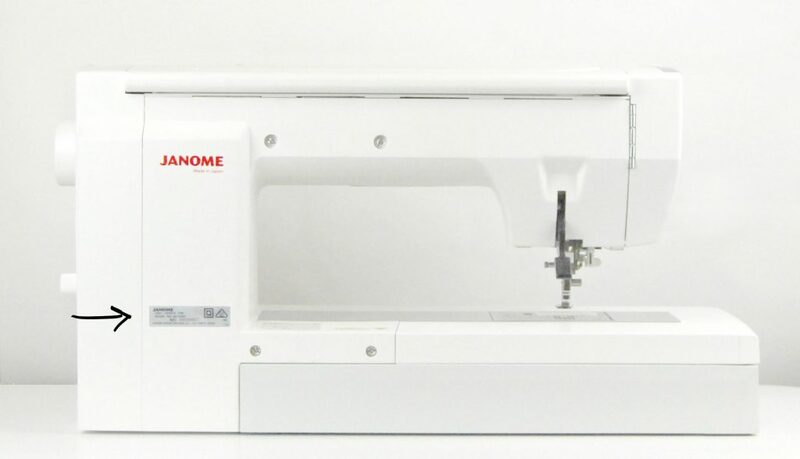 Your machine’s serial number is a unique 9-digit number and is a very important part of the warranty process with any Janome product. It will help us identify the machine and what model it could be. The machine model can also be located on this plate should you need to purchase any accessories or replacement parts for the machine. Also printed on the plate is the place of manufacture. If you own a Janome sewing machine, don’t forget to register your machine online.